Product Features Helps to repair damaged skin cells quickly and effectively inhibit melanin production. Especially suitable for skin after various treatments for speeding up skin recovery minimizing the possibility of PIH (Post-Inflammatory Hyperpigmentation). It also contains Vitamin E which is famous for its anti-oxidating and hydrating properties. 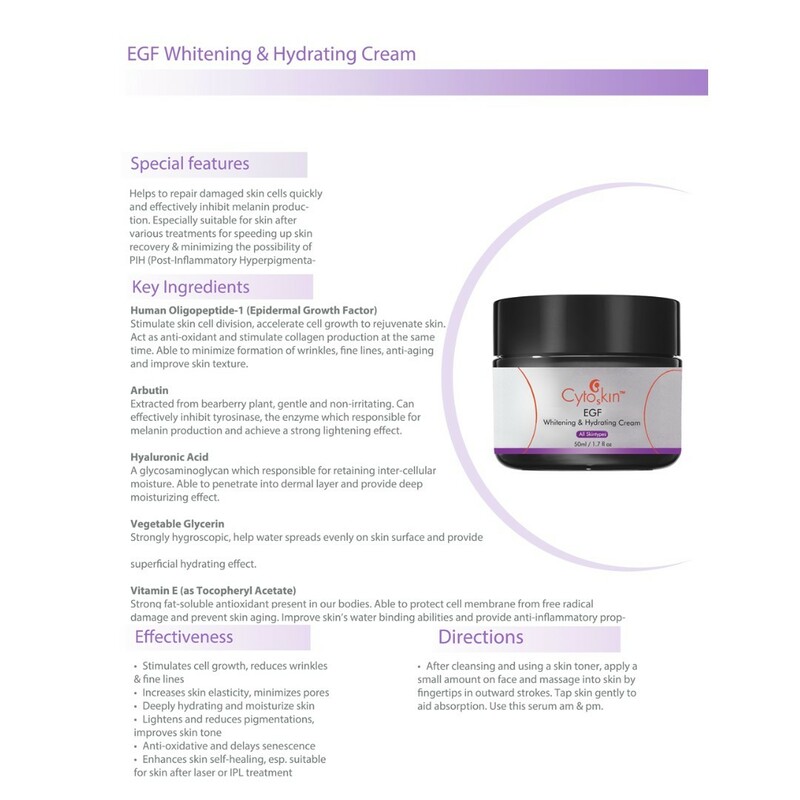 Cream has a stronger moisturizing effect compared to serum. Ideal for all skintypes. Key Ingredients Human Oligopeptide-1 (Epidermal Growth Factor) Stimulate skin cell division, accelerate cell growth to rejuvenate skin. Act as anti-oxidant and stimulate collagen production at the same time. Able to minimize formation of wrinkles, fine lines, anti-aging and improve skin texture. Arbutin Extracted from bearberry plant, gentle and non-irritating. 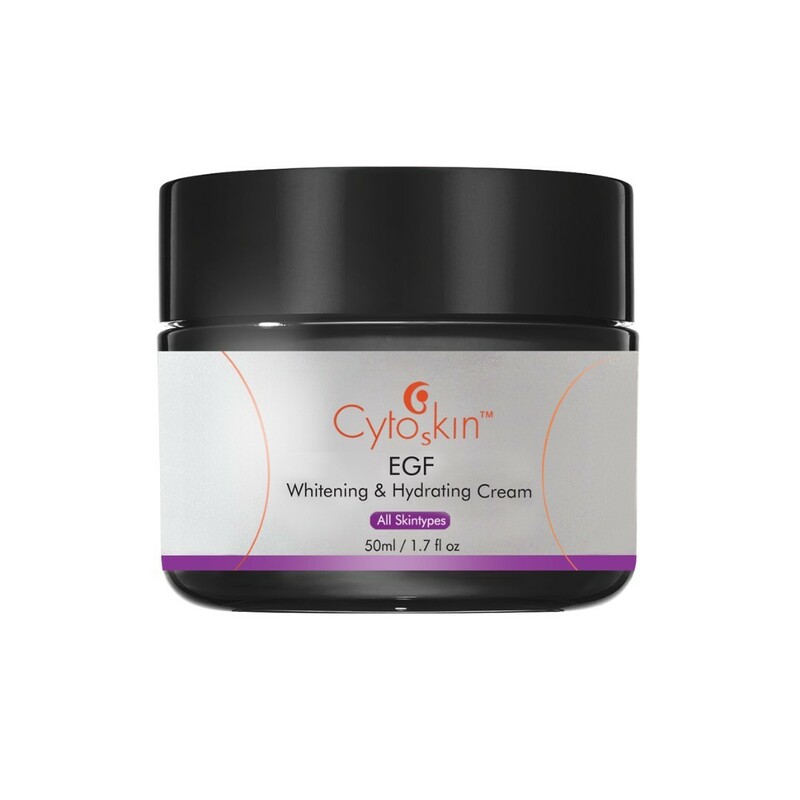 Can effectively inhibit tyrosinase, the enzyme which responsible for melanin production and achieve a strong lightening effect. Hyaluronic Acid A glycosaminoglycan which responsible for retaining inter-cellular moisture. Able to penetrate into dermal layer and provide deep moisturizing effect. Vegetable Glycerin Strongly hygroscopic, help water spreads evenly on skin surface and provide superficial hydrating effect. Vitamin E (as Tocopheryl Acetate) Strong fat-soluble antioxidant present in our bodies. Able to protect cell membrane from free radical damage and prevent skin aging. Improve skin’s water binding abilities and provide anti-inflammatory properties as well. 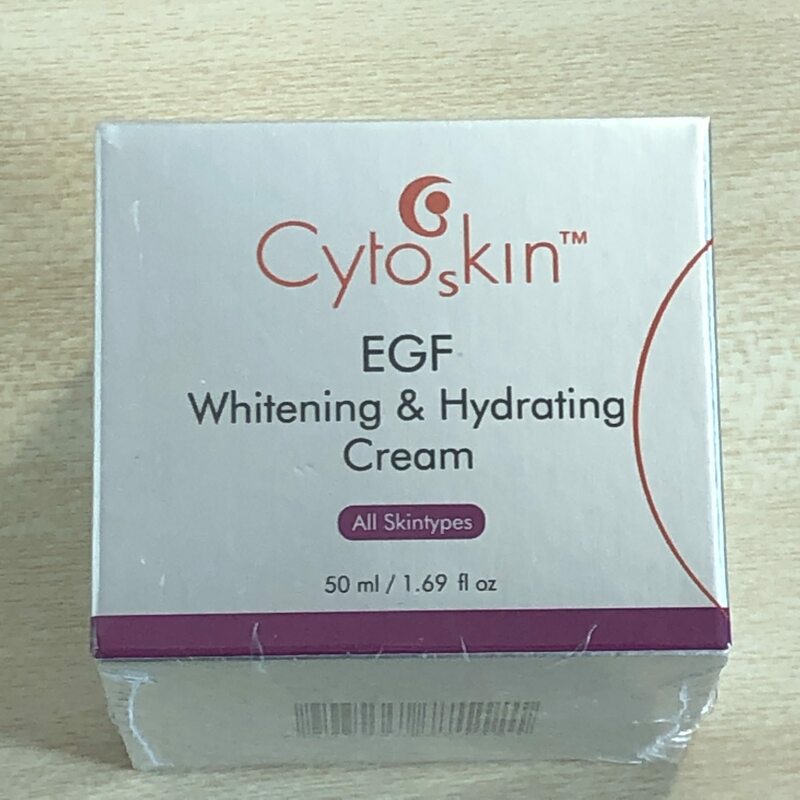 Benefits Stimulates cell growth, reduces wrinkles fine lines Increases skin elasticity, minimizes pores Deeply hydrating and moisturize skin Lightens and reduces pigmentations, improves skin tone Anti-oxidative and delays senescence Enhances skin self-healing, esp. suitable for skin after laser or IPL treatment Directions After cleansing and using a skin toner, apply a small amount on face and massage into skin by fingertips in outward strokes. Tap skin gently to aid absorption. Use this cream am pm.